I like my daily commute, I get to walk about a mile to my office. I rate the quality of my commute by the number of cats I see. Among the dozen or so cats along the route, there are only two black and white cats and they are rarely around. However, when they are out, seeing one of them can really make my day. On a recent late afternoon, I was out for a walk to enjoy the rarely seen sun. 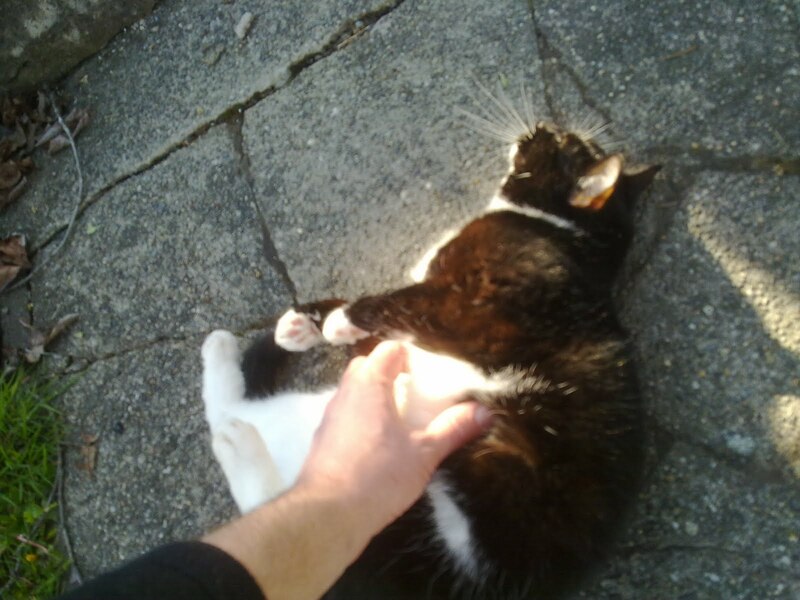 As I came up to the first house with a black and white shorthair, lucky me, it was lounging in the yard. I stopped to admire it from the sidewalk and it came running up to me! After a few quick meow greetings, it gave me a few quick head-butts before flopping over and offering me it's tummy! My gosh, we just met! What a super-lovey kitty! I so love the black and whites. This kitty has a big fluffy gray kitty friend who I often see out in the yard. 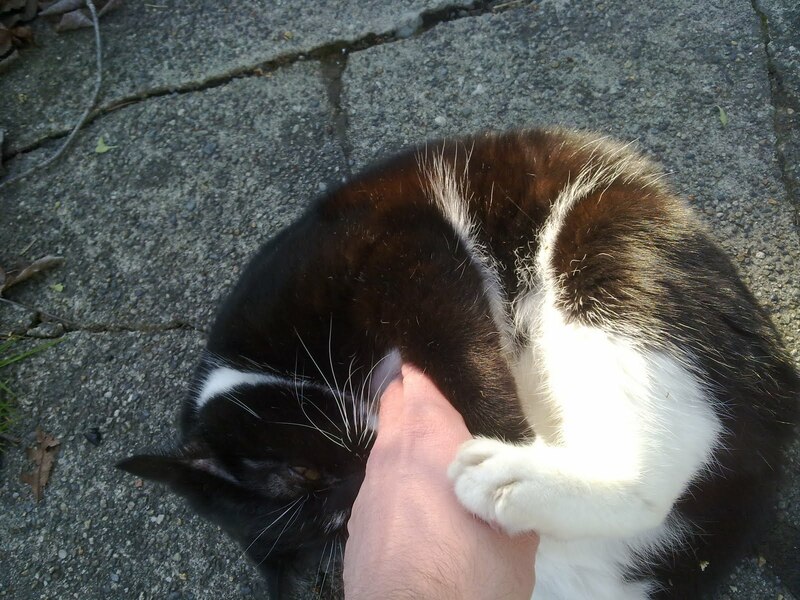 After the black & white started loving on me, the fluffy one came running up wanting some love too! What a delight. Most of the cats I see keep a safe distance. I wish I had a small camera with a good zoom lens so I could get pictures of my commuting buddies. Or, maybe I should be wishing for all the kitties to run up to me for head-butts and tummy rubs and then I won't need a zoom! A drive by petting! Fabulous. What a wonderful treat on your way home! !